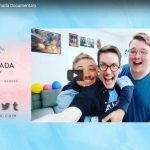 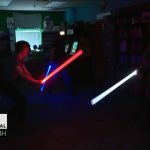 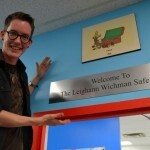 This is very nice video about a great entrepreneur who runs a great store and does important work in suburban Halifax. 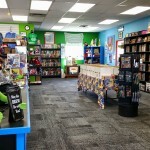 Not only is Jay Aaron Roy’s Cape and Cowl Comics and Collectables in suburban Lower Sackville an excellent place to shop for hard to find comics, it also offers a much-needed bullying-free community meeting space for young people who are a little bit on the geeky side. 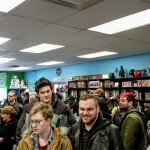 Not every store owner in Nova Scotia can say they have customers willing to gather together in the early morning winter cold just to help out their business in a time of need. 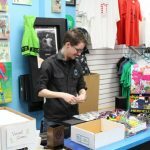 A Feb. 13 “cash mob” organized to help a well-loved Lower Sackville entrepreneur has raised more than $5,000 and ensured the business will live to see another day. 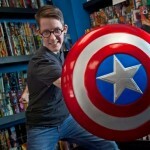 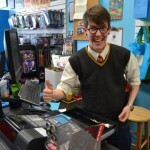 Jay Roy opened Sackville’s Cape & Cowl Comics and Collectibles more than a year ago. 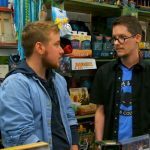 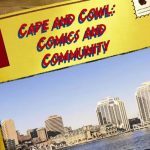 Listen to Cape & Cowl Comics & Collectibles owner Jay Aaron Roy talk about his Sackville Drive business and you’ll feel nothing short of inspired.